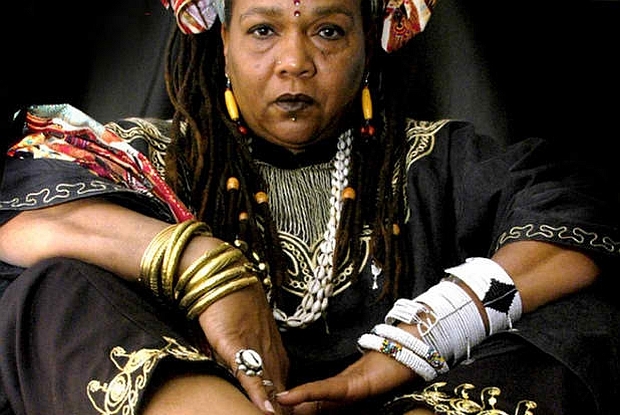 Former Black Panther, Mama Charlotte Hill O’Neal is an accomplished poet, musician and visual artist, and Founding Director of Tanzania’s United African Alliance Community Center (UAACC), a community-based organization which promotes community development in rural Africa. The UAACC has a number of independent media projects as part of its powerful community work including hip hop, music production, photography, videography, poetry, theater and the development of an independent radio station. Join us as Mama Charlotte discusses her life, including more than two decades of UAACC outreach in America and East Africa and the UAACC Leaders of Tomorrow Children’s Home program, as well as her art, including poems, prose, and film. And for an extra special treat, watch a live performance by local youth, who just creatively collaborated with Mama C, youth from UAACC in Tanzania, Youth Media Sanctuary, and Youth FX! * From 4-6pm before the evening presentation, Mama Charlotte will be working with local youth in the “Hip Hop to Healt the Community” workshop. Want to participate?